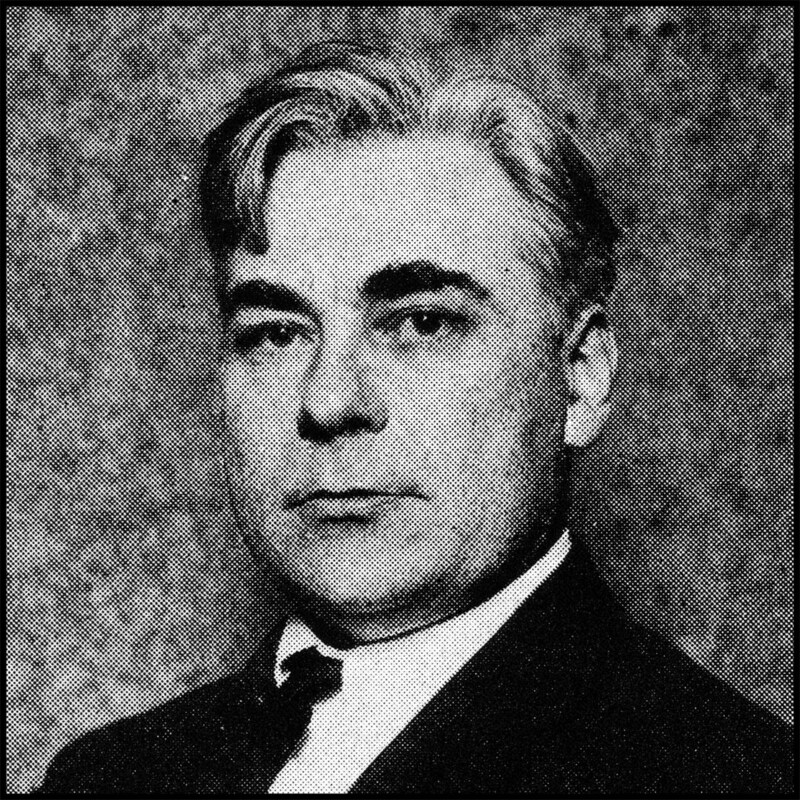 Stories of Don Marquis sharing drinks and tall stories with his friends are legion. He was a regular at The Players club in New York and many other clubs and taverns throughout the 1920s and ’30s, where invariably he was at the center of spirited talk. That camaraderie seems in short supply in our busy modern world, but there’s something we can do about it. And so we propose a new club for today’s legion of Don Marquis fans. 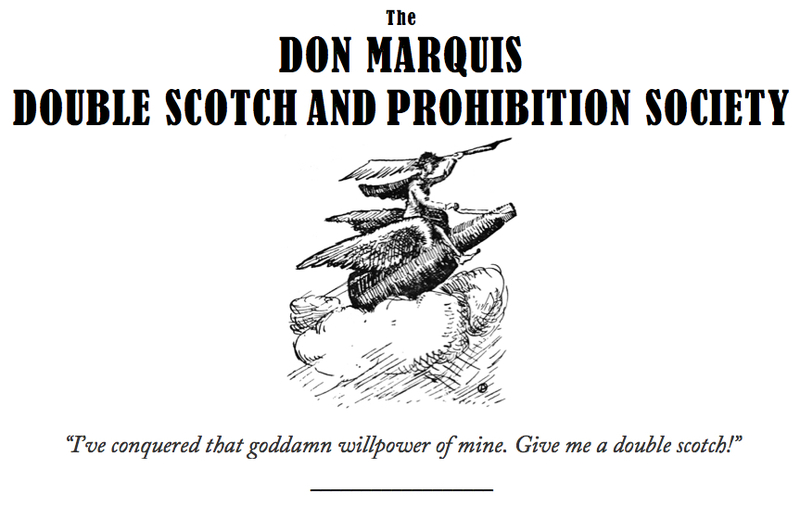 Introducing the Don Marquis Double Scotch and Prohibition Society! There are other literary clubs and groups focused on the 1920s era, of course. The Dorothy Parker Society calls itself a drinking club with a literary problem, and there’s also the Robert Benchley Society, the scholarly Fitzgerald and Hemingway societies, and the marvelously magnanimous Repeal Society, to name a few. But the Don Marquis Double Scotch and Prohibition Society is our own excuse to gather and talk and drink and talk and tell stories and talk some more. The bylaws of the Society are straightforward. Basically, if you want to join the Society, you just did. And anywhere that you and a friend raise a toast to Don constitutes a meeting of the local chapter. Please forward your name, contact information and anything else you’d like to say to John Batteiger, founder of the Society, at johnbatt(at)me.com. We will add you to the roster and keep you informed of Society news and cocktail hours. 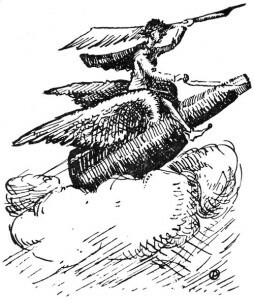 Also, please visit our website at www.donmarquis.com and the Facebook page at www.facebook.com/DonMarquisAuthor. But enough formalities. Let’s end with a toast: Cheerio my deario! * This line, by the way, comes from the title of a slim tribute volume privately published in 1998 by Steve Gatensbury of British Columbia. It’s a hoot!